The voice of Raphael Corkhill was the perfect choice for this series set in New Zealand. I read the kindle books but I'm loving listening to the audio even more. If you're an Extinction Cycle fan you have to get these! 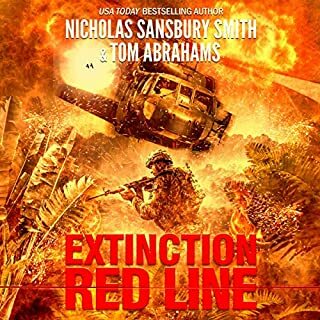 This is a fantastic installment of the extinction series. Even if you haven't read the Nicholas Sansbury Smith extinction cycle you'll enjoy this companion to the series. It's well written, very exciting action and really scary monsters & situations. I had to stop what I was doing a couple times, heart racing, hoping that the character would make it out alive. The narrator is top notch. Do you self a favor and give this series a listen. Action packed, thrill ride with humour and heart. Realistic characters with fun interactions. I loved the main characters Jack and Dee. Their love and determination for each other. Great wise cracking moments and enough pop culture references to keep me happy. Action was well thought out and not cluttered. 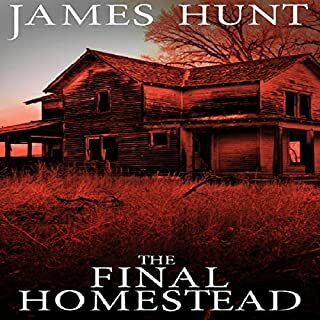 Fantastic writer and a great narrator. This was a book that was recommended to me by one of my favorite authors and I loved it!! The story had me engaged right from the start. I could not put it down. I loved the narrator. Amazing addition to Extinction world! I was pleasantly surprised at how seamlessly this story blended into the world of Extinction. Taking place in New Zealand, the characters and setting gave a different look at the struggles of surviving the outbreak. I have already purchased the next book and can't wait to see what happens next, the ending left me excited for what is to come! I absolutely love this book for many reasons. First off I found this book from from the main series it came from: Extinction Cycle by Nicholas Sansbury Smith. I am a huge fan and while I loved the end, it left me wanting even more it was just that good. So I read the kindle worlds books. 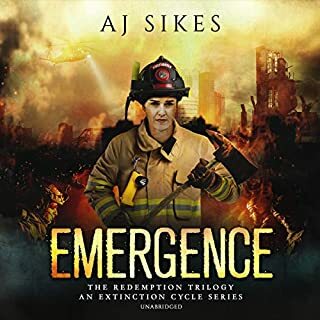 Loved the different authors peeks into that apocalypse, then came Rule of Three. This is a huge peek into what the every man went through. No soldiers and scientists, just regular people using their every day abilities fighting nightmares they have no idea about. Where did they come from, how do you fight them how do you fight to survive them? Can you? The Rule of Three has Jack and Dee. They aren’t fighters, they aren’t soldiers or police. They are regular people using what they have trying to survive and reunite. Making choices I’d never want to face and experiencing things that would make most want to give up, but neither one ever does. You can feel how much they love each other and are routing for them to survive even as you doubt they have any chance of seeing each other ever again. Taking place in a different part of the world from the original works so well for this book as well. There is so much familiar yet so much different that it just feels right. New Zealand is a beautiful place and hearing about it, even in this context made me personally very happy. This is a well written adventure from someone who obviously understands, loves and respects the world it was written in. I didn’t find discrepancies that pulled me out of it or any writing that was disruptive to the flow of the book. It was a smooth, engaging, intense and scary ride that will leave you longing for book 2! Luckily you don’t have to wait! Well written and the right narrator. Like the unique venue, and character focus as opposed to the virus or infected. Keep writing! 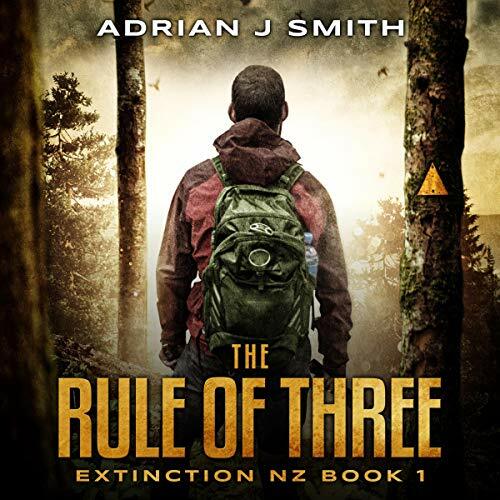 Taking its title from the wilderness survival rules of three, this action-packed thriller is set in the Waikato region of New Zealand’s North Island. Like the area itself, this story is rich in detail and suspense. 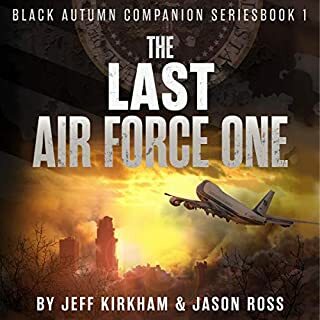 The main characters’ horrific journey to reunite in the midst of the apocalypse is peppered with just enough hope to find that deep strength that keeps them moving forward. A truly awesome story and the narrator gave a superb performance. 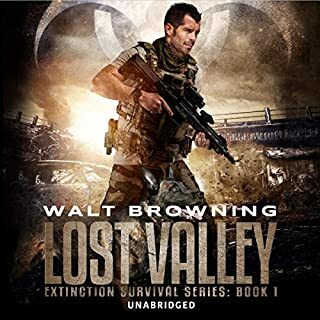 what an intensely creative addition to the extinction cycle world, the variants of New Zealand are terrifying and the civilians are a much different take from the special forces we have been used to. It was quite a ride throughout the entire story and what a set up leading to the rest of the series! The characters are all described and brought into the story in a way that really makes you feel for their situation and hope for their good fortune. 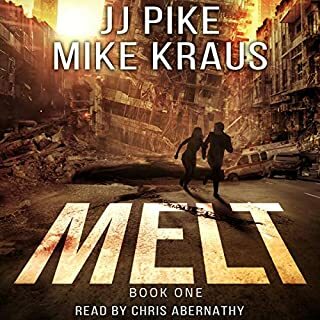 If you are a fan of post apocalyptic or zombie / monster books you will love this series! Holds your attention, when you are waving at the characters, grimacing and swearing all whilst driving then you are captivated. Good really good. Believable characters and not to many , so that you don’t get lost. If you like: After it Happened, The Borrowed World, Mountain Man I recommend it. Well done to the author, thank you, had to search a few hay stacks to find another needle. just finished it and purchased the rest of the series, so I guess that's fairly indicative of my opinion. apocalyptic books can be hit and miss. this one was definitely hit. really liked the NZ perspective in the genre, which really is a breath of fresh air given the genre is predominantly dominated by one nationality and their stereotypes. narration was also great, easy to listen. This book was a ride from the very first page! Can't recommend it enough. It was great having a NZ based book as well.